Yesterday, we brought you the news about another big publication jumping on the iPad mini rumor - the New York Times now reiterated whispers about a smaller version of the iPad coming soon, but what’s interesting is that along with that the newspaper also added fuel to the Kindle Fire rumor mill. We’ve already heard from various sources tips and bits about a larger Kindle Fire coming this year, and now a developer briefed with Amazon’s plans confirmed this for the NY Times. 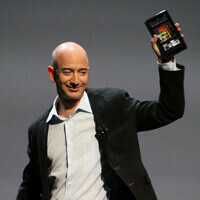 Along with the new, bigger Kindle Fire Amazon is preparing the second 7-inch fire, according to analysts. The company, of course, declined any official comments. Last year, Amazon’s 7-inch tablet opened a niche that has grown hugely since its launch in mid-November. That niche is the one of affordable tablets. The Kindle Fire offered contemporary specs for the time with a price of $199, but with the tradeoff being a heavily customized version of Android. Now, with Google entering the space with the Nexus 7 and Apple’s rumored upcoming iPad mini, can Amazon succeed with its new generation of Fire tablets? Let us know what you think in the comments below. Eh, I disagree. I believe you will start seeing tablets come with 4GB of RAM in 2013. I mean we are already seeing smartphones with 2GB of RAM (i.e. GSIII). So, I don't think we are that far off from seeing tablets come with 4GB of RAM. Also, the Microsoft Surface Pro tablet may very well come with 4GB of RAM, though I have yet to find any articles saying exactly the amount it will come with. am i the only one seeing that. a kindle fire 10 inch wuld mean other manufactures making cheap less pool .powerful ten inchers thus killing the premium market for good which .means no more mind blowing tabs???!! !